These unique folk art masks add an authentic touch of the bold spirit of Mexico to your southwest decor and also make wonderful gifts. 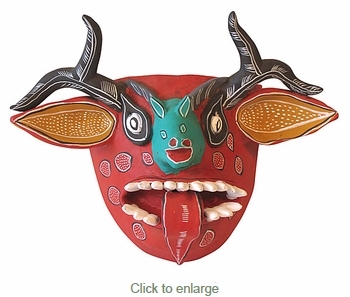 This painted clay deer mask was handcrafted in Mexico by talented folk artists. Direct From Mexico will carefully pack your order for safe delivery.